Sydney, 2 May 2018 – As industries journey through the Fourth Industrial Revolution, most organisations in Australia don’t understand nor execute workforce management effectively, and, in fact, are woefully unaware of how technology has an impact on staff and their business. A recent global survey found that almost 95 per cent of organisations worldwide don’t know how to manage their workforce effectively. The First Industrial Revolution saw the combination of man and machine to mass-produce items. The Fourth Industrial Revolution will see the combination of people and robots to mass produce items even more efficiently and just like the labour issues of the first revolution, if industry doesn’t manage the human and digital workforces properly they will see pain not profit. These are some of the insights explored in the new book The Digital Workforce by Jarrod McGrath, workforce management leader, founder and Chief Executive Officer of strategic workforce management consultancy, Smart WFM. 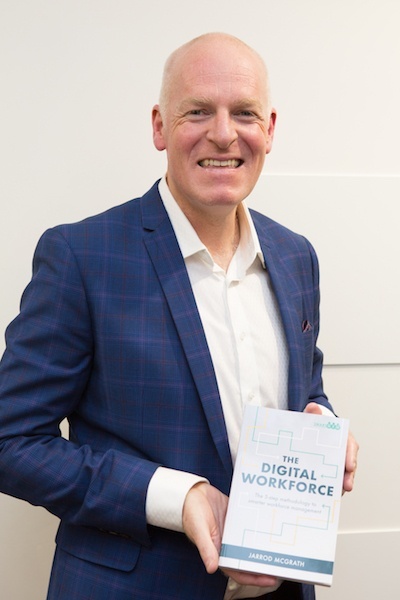 The book, published through Major Street Publishing, explores the impact technology has on the worker and what employers need to do to embrace this and create a smart workforce management strategy. McGrath sees a shift in workforce attitudes linked to the technology-led Fourth Industrial Revolution and explains how businesses are unprepared to leverage the tools of this to effectively manage today’s workforce. “We’re in the midst of this still relatively new industrial revolution, with the Internet of Things (IoT), workforce robots and blockchain technology playing a part in how workforces are managed. But much like policy makers, business leaders have not been able to keep up with these advancements and are failing to leverage technology in areas such as human resources, payroll and workforce management. The Digital Workforce highlights AI as a key aspect to developing the right workforce management strategy. “AI sparks a number of fears, from a ‘Terminator-style’ apocalypse to the threat it poses against jobs,” said McGrath. The book outlines a five-step methodology to help organisations understand and enact smarter workforce management, under the headings; Align, Prepare, Implement, Track and Measure. Retail, health and service businesses have the most to learn, but also the most to gain from better workforce management, according to McGrath. The Digital Workforce features interviews and analysis from experts in the areas of workforce management and human resources, including Georgegina Poulos, Global Director People, T2 Tea; Aron Ain, CEO, Kronos; and global AI futurist Matt Michalewicz. All proceeds from the book launch and a percentage of book sales will be donated to the Cathy Freeman Foundation as part of Pledge 1%. The book is available now from online booksellers and through www.smartwfm.com or as an eBook from most eBook sellers. Jarrod McGrath articulates the strategic value of workforce management within a business, from the senior management level through to the operational coal face. He is author of The Digital Workforce and founder and Chief Executive Officer of Smart WFM. Press release from an outside source. Please consult the organisation directly for details about this release. Fifth Quadrant's Customer Experience publication for Australian, New Zealand and APAC professionals looking to leverage current business data to wow customers and grow their bottom-line. 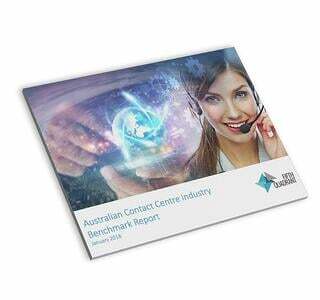 The 2018 Contact Centre Benchmark Report is Available!